Overlooking Scarborough's white-sand surfing beach with its numerous water sporting opportunities, the hotel is a few blocks from shops and restaurants, and lies 12 km northwest of the city centre. 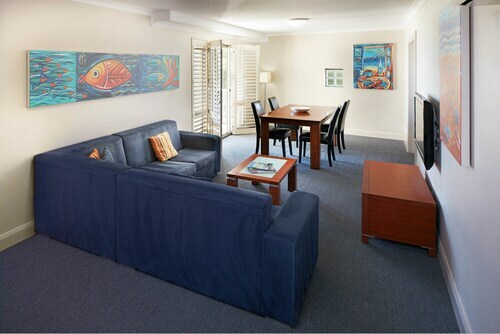 Situated near the beach, this hotel is within 3 mi (5 km) of Trigg Beach, Floreat Beach, and Hamersley Public Golf Course. Mettam's Pool and City Beach are also within 3 mi (5 km). Offering direct access to the beach, this Scarborough apartment building is in the entertainment district, 0.1 mi (0.1 km) from Scarborough Beach, and 2.6 mi (4.2 km) from City Beach. Trigg Beach and Floreat Beach are also within 3 mi (5 km). 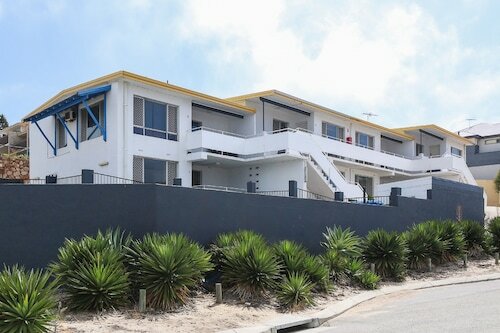 Situated in Scarborough, this hotel is 0.7 mi (1.2 km) from Scarborough Beach and 3 mi (4.9 km) from City Beach. Trigg Beach and Mettam's Pool are also within 3 mi (5 km). This family-friendly Scarborough apartment building is located near the beach, within 2 mi (3 km) of Scarborough Beach and Trigg Beach. City Beach is 2.7 mi (4.4 km) away. When you and your family are holidaying in the state of Western Australia, get to the state capital, Perth. Located 11 kilometres northwest of the middle of the city, you can reach the exciting neighbourhood of Scarborough. The iconic sights of Perth include the Kings Park and Botanic Garden and Swan Bells Belltower. Hordes of shoppers head to Karrinyup Shopping Centre to awaken their shopping demons. If you'd like to sleep close by, check out the Quest Scarborough and Seashells Scarborough. Sit back and listen to the sound of the waves at Scarborough Beach. For this attraction, think about the Trigg Retreat Bed and Breakfast and Rendezvous Hotel Perth Scarborough. 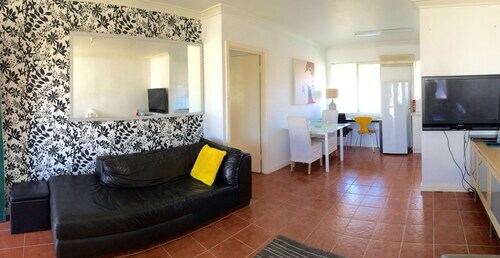 At Wotif, we think it's important to spoil yourself from time to time. So if you are heading to Scarborough and you're in the position to pay a bit more, have a gander at the packages at the Sunmoon Boutique Resort. Bada Bing Cafe is an ideal hideaway on a miserable day in Scarborough. Relax back with a book or just while away the afternoon with friends over some sweet snacks. When you start thinking about dinner, check out what's on offer at Indian Ocean Hotel. The entrées and mains may be delicious, but don't forget to leave room for dessert! 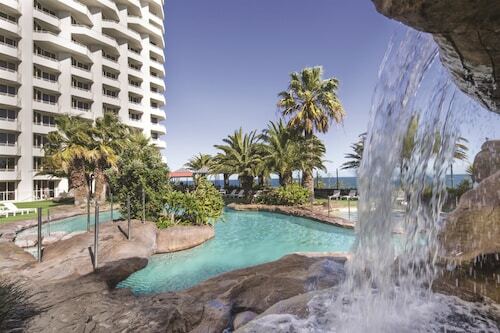 If you and your family cannot secure the right Scarborough hotel deal, it's worth looking at the accommodations in Scarborough Beach and North Beach. Scarborough offers plenty to do as well as some great places to stay. You deserve a holiday, so when you're ready to make tracks to Perth, Wotif is ready to take you there, on budget and in style! Need insider tips on must-see attractions in Scarborough? Check out our Scarborough travel guide! How Much is a Hotel Room in Scarborough? Hotels in Scarborough start at AU$91 per night. Prices and availability subject to change. Additional terms may apply.